THE WINE Bolgheri Superiore 'Ornellaia' by Tenuta Ornellaia , is a cuvee of Cabernet Sauvignon, Merlot, Cabernet Franc and Petit Verdot, faithful expression of a unique terroir that has always been in harmony with nature. Manual harvest with selection of the grapes. Aging in barriques for 18 months, assembling after the first 12 months and final stop in the bottle for a further 12 months. Mythical. THE COMPANY It was in 1981 that the Marquis Lodovico Antinori, cousin of Piero Antinori, founded the Tenuta Ornellaia, in the heart of the Bolgheri area, a few kilometers from the Mediterranean coast. With the first vintage of 1985, what became an icon among the SuperTuscan was born: the "Ornellaia", put on the market three years later, in 1988. With the inauguration of the company, the world-renowned winemaker, Michel Rolland, begins to take care of the technical part of the cellar. Subsequently, in the 90s the other two labels were born: "Le Volte" and "Le Serre Nuove". At the beginning of 2000, Robert Mondavi, the great Californian producer, acquired the Estate, then selling 50% to the Marchesi de 'Frescobaldi, who will buy the other 50% only three years later. The end of the 2000s also saw the birth of the "Poggio alle Gazze" label, which will be followed by the carefully selected late-harvest wine "Ornus", obtained from purely pure-grained petit manseng grapes. A mythical winery, therefore, to which the credit goes to have written the history of Bolgheri. With almost one hundred hectares of vineyards, to which another thirteen are added for rent, Tenuta Ornellaia has always focused on one and the same objective: quality. All decisions, all choices, take into account every minimum and smallest detail, and from the vineyard to the final bottling, no shortcuts are allowed. During the harvest, only the finest and most balanced bunches are selected and harvested, then in the winery processed separately, according to the cru of provenance. Then a year of rest in cask, and following the composition of the blend: everything is aimed at enhancing every little nuance of the terroir, and to enhance the expression of every single vintage, always respecting the continuity of what can be considered the " Ornellaia style ", synonymous with experience, competence and determination, which translates into the complexity and elegance of the glass difficult to match. Tasting Color: deep ruby red. Bouquet: intense sensations and red fruit fruits, with hints of mushroom and bark. 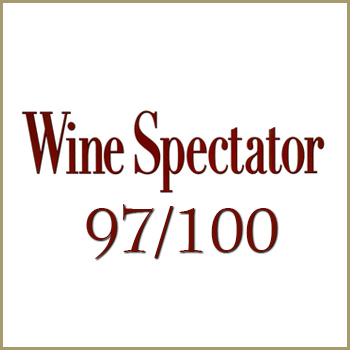 Taste: balanced, wide, round, velvety tannins with great aging capacity. Bolgheri Superiore 'Ornellaia' by Tenuta Ornellaia, is a cuvee of Cabernet Sauvignon, Merlot, Cabernet Franc and Petit Verdot, faithful expression of a unique terroir that has always been in harmony with nature. Manual harvest with selection of the grapes. Aging in barriques for 18 months, assembling after the first 12 months and final stop in the bottle for a further 12 months. Mythical. It was in 1981 that the Marquis Lodovico Antinori, cousin of Piero Antinori, founded the Tenuta Ornellaia, in the heart of the Bolgheri area, a few kilometers from the Mediterranean coast. 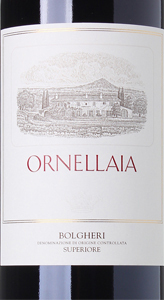 With the first vintage of 1985, what became an icon among the SuperTuscan was born: the "Ornellaia", put on the market three years later, in 1988. With the inauguration of the company, the world-renowned winemaker, Michel Rolland, begins to take care of the technical part of the cellar. Subsequently, in the 90s the other two labels were born: "Le Volte" and "Le Serre Nuove". At the beginning of 2000, Robert Mondavi, the great Californian producer, acquired the Estate, then selling 50% to the Marchesi de 'Frescobaldi, who will buy the other 50% only three years later. The end of the 2000s also saw the birth of the "Poggio alle Gazze" label, which will be followed by the carefully selected late-harvest wine "Ornus", obtained from purely pure-grained petit manseng grapes. A mythical winery, therefore, to which the credit goes to have written the history of Bolgheri. With almost one hundred hectares of vineyards, to which another thirteen are added for rent, Tenuta Ornellaia has always focused on one and the same objective: quality. All decisions, all choices, take into account every minimum and smallest detail, and from the vineyard to the final bottling, no shortcuts are allowed. 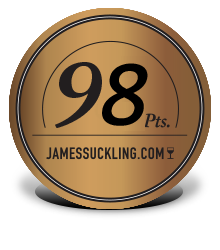 During the harvest, only the finest and most balanced bunches are selected and harvested, then in the winery processed separately, according to the cru of provenance. Then a year of rest in cask, and following the composition of the blend: everything is aimed at enhancing every little nuance of the terroir, and to enhance the expression of every single vintage, always respecting the continuity of what can be considered the " Ornellaia style ", synonymous with experience, competence and determination, which translates into the complexity and elegance of the glass difficult to match.